Can vouch for them - that's where I grabbed my sub from. they got a bricks & mortar shop? coukldnt tell from the website so leads me to believe they havent?? Yeah got a few spread throughout Europe. The UK one is Fleet St, London. Sent my Tudor BB in to be fixed while still under warranty & this is month 4. AD said they were waiting for parts but they’ve had since end of October . Is this normal practice? Gaz wrote: Yeah got a few spread throughout Europe. The UK one is Fleet St, London. as archie would say "you must be making some coin!!" 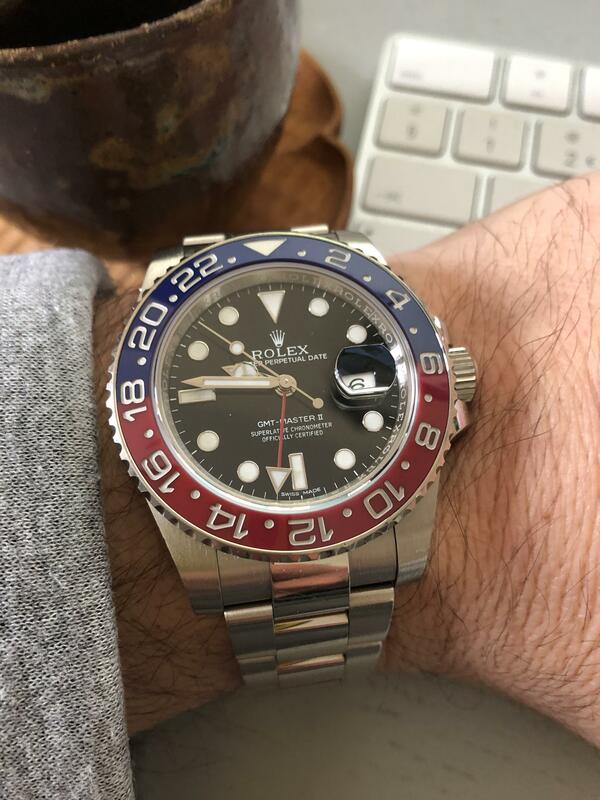 The WG BLRO has always been my favourite modern Rolex reference. @ BANKS It looks and feels lovely on the wrist. The only issue is the softness of the metal and being prone to dents. some big hitters these last few pages!